Muru Jewellery > Weddings > Bridesmaid Jewellery > Our Top 6 Bridesmaid Necklaces! If you’re looking to add the perfect finishing touch to your bridesmaids’ outfits while giving them a little token of your love and appreciation, our meaningful bridesmaid necklaces make a special gift that can be worn for years to come and remind them of your special day. After countless hours of preparation for your hen party and wedding day, it’s the perfect time to surprise your bride squad with a gift that will make the special day even more meaningful. Whether you choose to surprise them with a special jewellery gift on the day you ask them to be your bridesmaid, during your hen party or the morning of your wedding day to add the finishing touch to their outfits, a sentimental bridesmaid necklace says it all. We’ve picked out six of our favourite necklaces that your bridesmaids are sure to treasure, each necklace is perfectly subtle and chic to match every style of bridesmaid dress. Every piece of Muru jewellery has been designed with a unique meaning in mind so you can match each necklace to your bridesmaid’s personality! 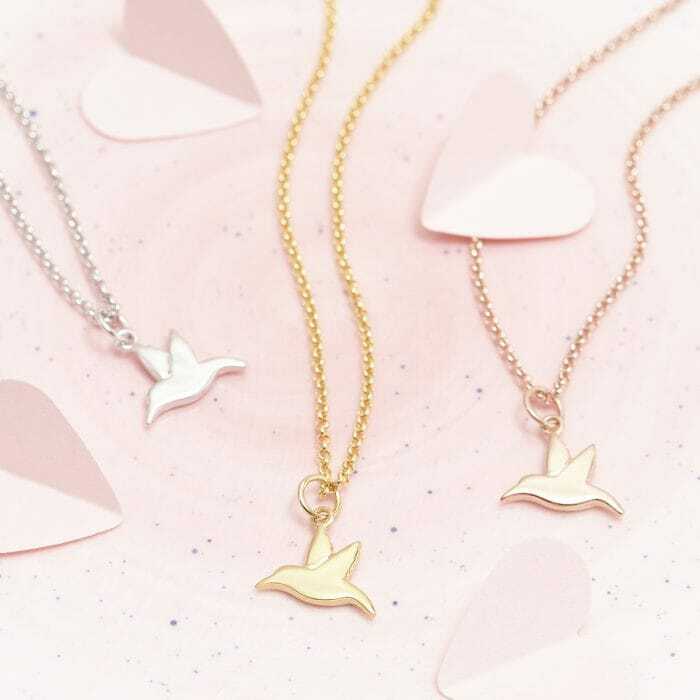 We have unique designs to suit every style, with the choice of sterling silver bridesmaids necklaces, gold bridesmaid necklaces or rose gold bridesmaids necklaces. Our necklaces range from only £42, so you will find an unusual and sentimental necklace to suit every budget. Don’t forget, each necklace comes complete with our signature gift packaging, making it an extra special treat for your loved ones to receive! Treat your bridesmaids to this minimal friendship necklace, they will love to wear this as a daily reminder of how much they mean to you. It symbolises the unique and everlasting bond between kindred spirits. We think this makes a great Maid of Honour necklace to thank her for all her help and support leading up to your big day. 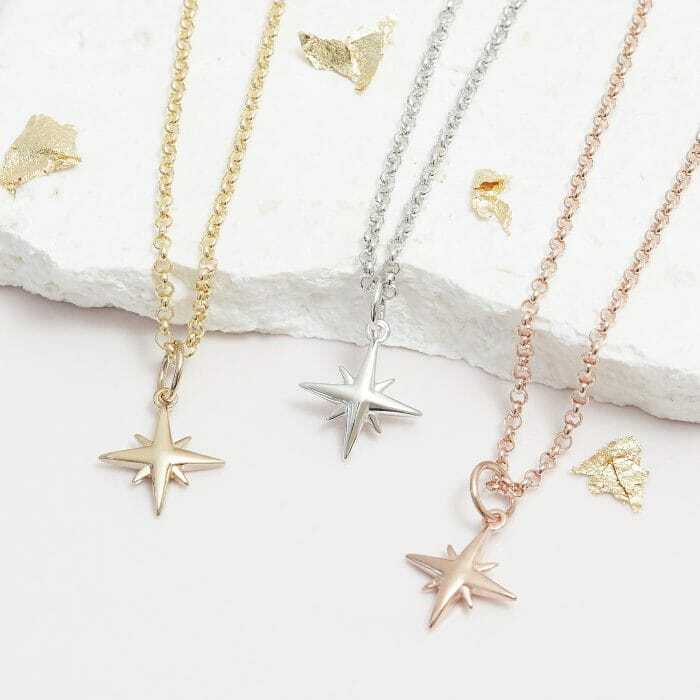 This cute tiny star necklace is the symbol of hope, letting your bridesmaids know they’re your shining light in the darkness. It makes a unique gift to wear daily as a way to encapsulate your friendship completely. 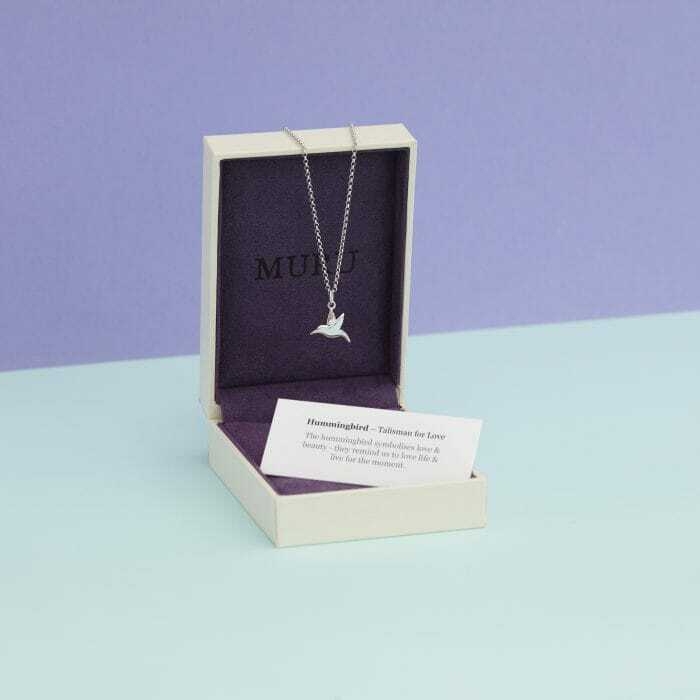 Our mini hummingbird necklace makes an unusual jewellery gift that represents love and beauty. The hummingbird reminds us to love life and live for the moment. For bridesmaids and flower girls alike, this dainty forget me not necklace will make a beautiful addition to every jewellery collection. The forget me not symbolises everlasting love and reminds us of the unbreakable bond between loved ones, no matter what!